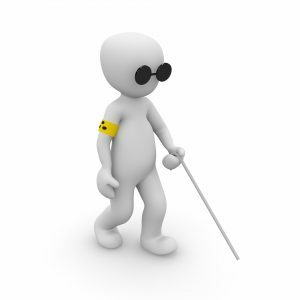 We provide visual impairment awareness training to increase understanding when communicating with and assisting visually impaired individuals in your care or under your emploment. The training is designed to give attandees an insight into the barriers that visually impaired individuals may face and to gain a better understanding of how attendees can help to remove these barriers. This will give staff the confidence and skills to better assist and support those living with sight loss. The course is interactive and engaging, allowing attendees to take a hands-on approach in becoming confident when supporting visually impaired people. Assessment will be by continuous assessment by the trainer – there is no ‘test’ paper. A certificate will be issued upon successful completion of course.